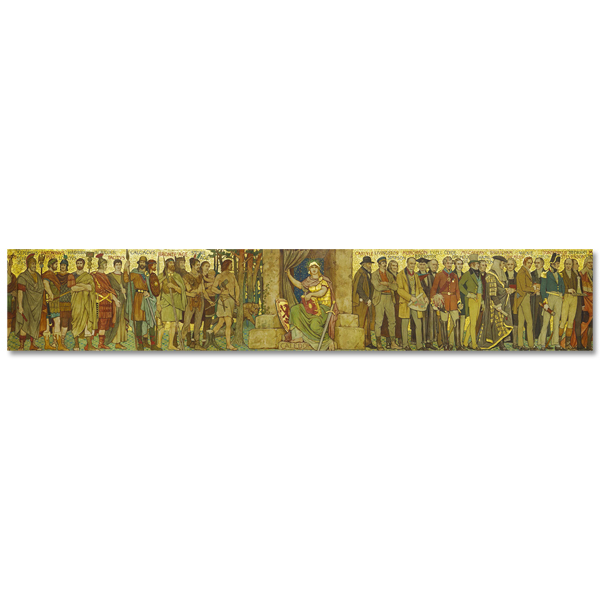 Panoramic print reproducing the Processional Frieze in the Great Hall of the Scottish National Portrait Gallery by William Brassey Hole. This processional frieze is one of the building’s most striking features. 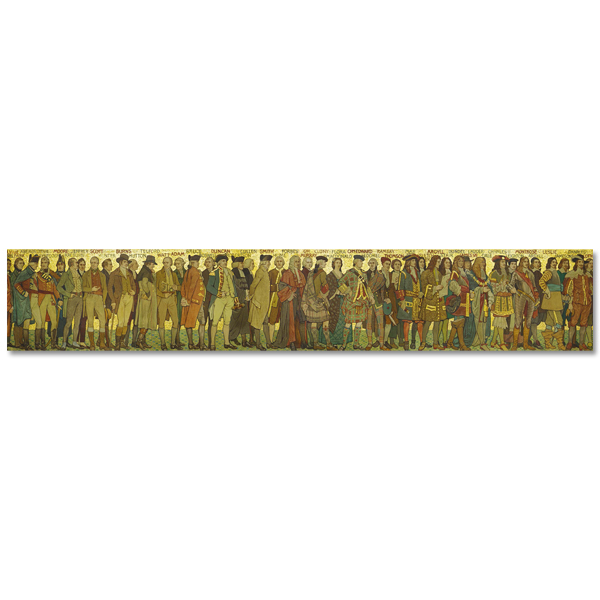 It comprises a dazzling, painted procession of famous Scots from across history, picked out in full colour and gold leaf.